Comment: Paint on home aging and needs new. ~2200ft^2 home, part of which has second story. Many sections of siding need replaced (which I will do) and home needs pressure washed. Paint is two different colors for horizontal vs vertical siding. Comment: LR,K,Hall, 12 foot ceiling in LR. Comment: 1500 square foot two story cedar siding home and 80ft fence requires preparation and staining. Last stain was 2004. Repairs complete on siding where some boards were damaged by storms. Looking to start painting after September 3rd. Call 4256230094 to coordinate. Comment: 1400 sf tri- level. Prep & paint house & trim. Comment: House is from 1988 and has only the remaining stain from 15 years ago on it. The bare cedar siding is dry, but solid, and the house is turning red and gray, but is intact; if I get it painted before the rains get here. It will need multiple coats and gentle washing. And of course, this is a bit urgent. It's a smaller house, 1100 square feet with only one room on a second story, and a detached one-story garage. Carnation Painting Contractors are rated 4.60 out of 5 based on 168 reviews of 14 pros. 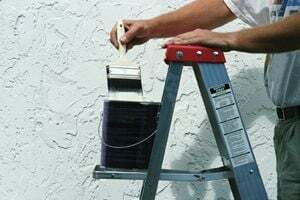 Not Looking for Painting Contractors in Carnation, WA?